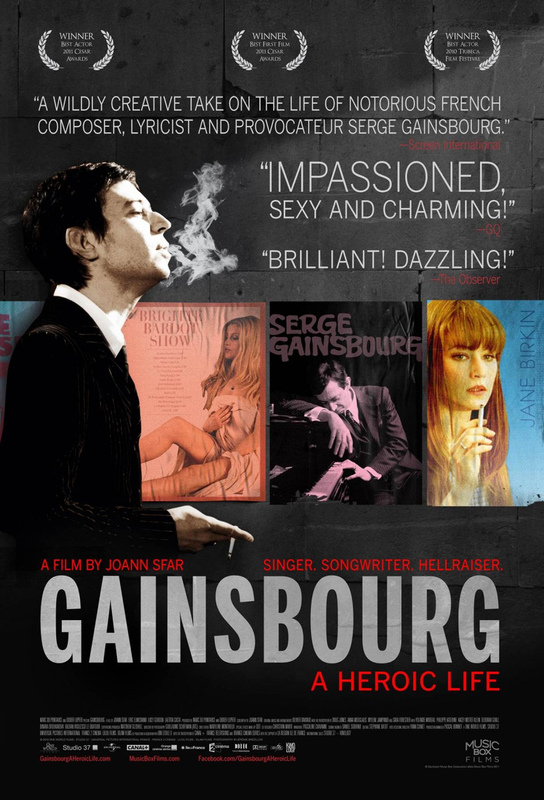 Excited to see Gainsbourg: A Heroic Life tonight. Pretty sure I will love this film — we’ve previously discussed my love for Jane Birkin, Laetitia Casta looks amazing at Bardot, and when you add in a liberal dose of surrealism, 60s music and puppets (?!? ), you’ve pretty much guaranteed me two hours of bliss. If you happen to be in New York this weekend, you can catch a viewing at the Soho House on Saturday night. Find further details here. I’m dying to see this movie. Missed it when it was in Nashville. Let me know how it is. It was amazing. Not your typical biopic, definitely. So creative. You are currently reading Coming Attraction: Gainsbourg: A Heroic Life at Quite Continental.